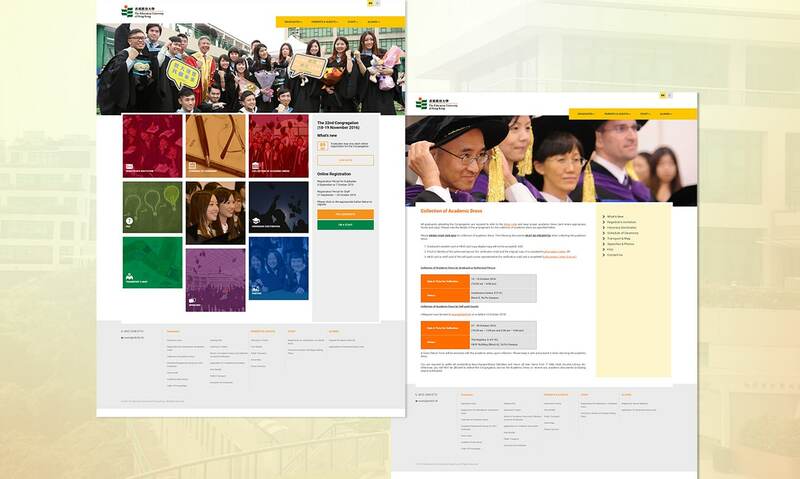 To provide details of the Congregation ceremony, The Education University of Hong Kong required a modern and established design to provide a list of detailed information for graduates, parents and staffs. 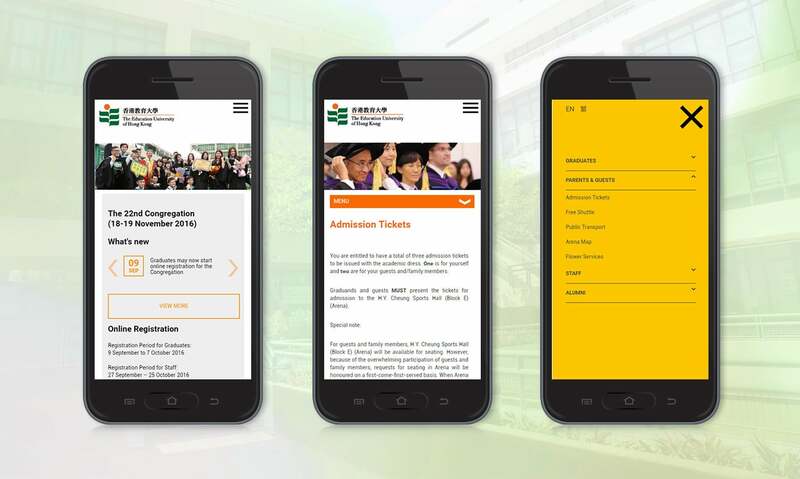 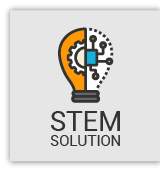 In this new web design, we employed the Responsive Web Design to optimize the mobile user experience, and used some more colors than ever to bring out the youth and vitality. 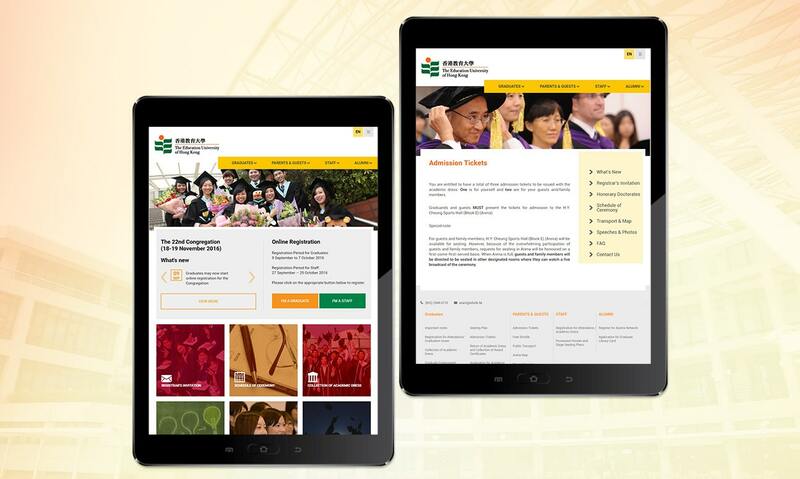 Besides the design, we developed the CMS to the client so that they can do the updates at backend.